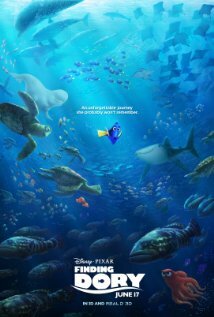 Showing this weekend: Finding Dory! Friday, Saturday and Sunday movie starts at 7:30p.m. This movie is rated PG and stars Ellen DeGeneres, Albert Brooks, and Ed O'Neill. Thanks to two very generous sponsors....All showings of Finding Dory will be: 1 child gets in free with one paid adult ticket at regular price. (adult is 18 years and older).